Do I Need a Permit to Build a Fence in Richmond? Are you thinking about installing a new fence on your property in Richmond? You might need a permit. Learn about the requirements for fencing in Richmond in this week’s blog. If you’re planning to install a fence or wall that is not more than 6 feet in height, you won’t need a permit. Fencing installed on the rear or side of the property cannot exceed 6½ feet in height. An additional 1½ feet are allowed for posts, columns, and gates, which means these parts of the fence can be up to 8 feet in height. In districts R-6, R-7 and R-63, no part of the fence can be higher than 4 feet in the front of the property, specifically, between the street line and the main building wall. 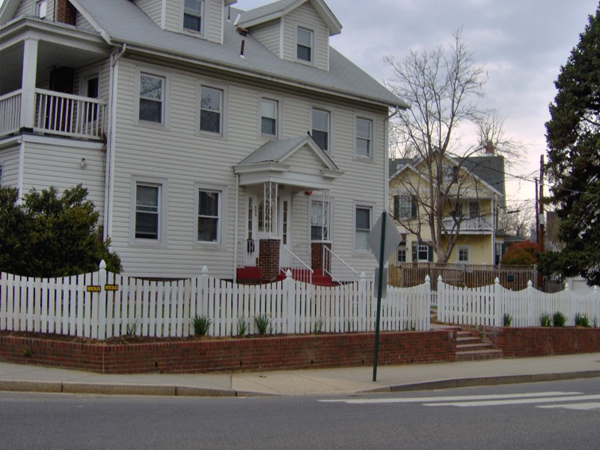 If your property is in a historic area, you must get approval from the Commission of Architectural Review to build a fence. This is the link to the building permit application for Richmond. Building permits are valid for 6 months from the date they’re issued. The permit is extended for another 6 months when there is an inspection on the property. The city will advise you in a letter 2 weeks before your permit is set to expire, and will allow you to extend the permit before it expires without having to pay a fee. If you miss this window, you’ll have to pay a fee to re-instate the permit. The permitting process can be confusing, which is why working with a fencing contractor in Richmond can make things a lot easier. Your contractor will know whether or not you need a permit, and will go through the permitting process for you. The contractor will also survey the property in order to ensure that the fence does not conflict with neighbors’ property lines. All in all, it’s a good idea to consider a fence contractor in Richmond such as Hercules Fence, in order to make the permitting and installation process easier on yourself. This entry was posted on Thursday, January 8th, 2015 at 9:24 pm. Both comments and pings are currently closed.